She also may have said “I will end you, human. The hat is TOO FAR!” I’m not totally sure, though. I don’t speak fluent cat. If you are in line before the polls close, you will be allowed to vote. It’s the law. Let’s do this thing! Don’t let long lines scare you! Be excited because it means that more Americans than ever are letting their voices be heard. Where were we, now? Ah, yes. I left you with this. The chameleon breaks out of the end of its egg. See that pink bit? That’s its TONGUE! It laps water before it hatches. 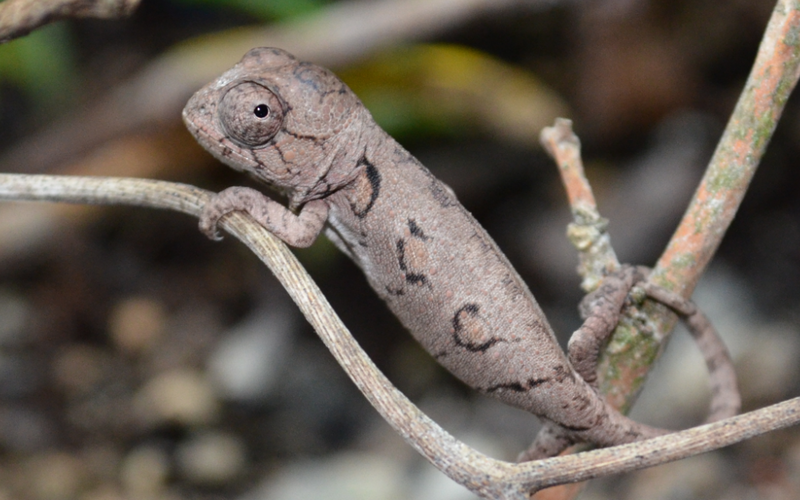 After a ten month incubation, these Oustalet’s Chameleon (Furcifer oustaleti) eggs began to hatch. A teaser image, I know. I have taken hundreds of shots of these little guys, and there were just too many to share in a single blog post. Please accept my apology. To be fair, I didn’t put you through anything I didn’t experience myself. It was several days after I saw the tongue before I saw the baby. Are you ready? Hang onto your hat. Click any of the images to enlarge. There’s more detail when the pictures are full-sized. The hatchlings rest in their egg for what feels like a long time. Some of the eggs showed tears in the end for several days before their inhabitants finally emerged. All the juveniles seemed to end with one final step before hatching: sleeping. Such hard work for a little guy! I took many photographs of the babies asleep in their eggs. Hatching is hard work. Imagine getting caught in the rain and having to peel off your skinny jeans. That are a size too small. Without using your hands. It’s exhausting. In addition to resting, the hatchlings were also absorbing the remainder of their yolk. Some of the babies took right off after a quick nap, while others slept in their egg for over 12 hours. Note the color change between the first set of images. 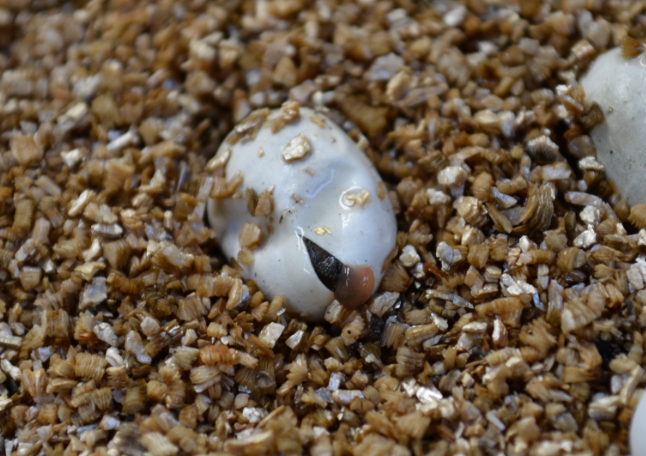 The lighter color seems to indicate the hatchling is sleeping. When the baby is actively working to emerge, the color shifts to brown. The brown coloration is similar to the dark, dark grey they turn when they are stressed, possibly indicating that hatching is a stressful experience. It’s hard to say for sure, though, because sometimes the act of observing something changes what is being observed. That’s my thumb. Yeah, he’s tiny. The little gold flecks are bits of vermiculite, the medium we prefer for incubating eggs. A couple of days after hatching. Note the white spots on the side. The grey coloration appears to be their default setting. How tiny is this animal? It’s holding onto a bit of honeysuckle. These animals are beautifully camouflaged. They are nearly indistinguishable from the branches. I can’t stop taking pictures. They sit across from my desk, so my lunch hour is usually spent snapping interesting poses. Can you blame me? Could you eat lunch or read a book when a little guy is doing this? These chameleons are growing well. They are fed at least once a day on tiny crickets and fruit flies. I mist them a couple of times a day, as well. Because they are completely arboreal, they don’t recognize standing water as something to drink. They lap water droplets when it rains, so I make sure to “rain” on them often. Juveniles tend to dehydrate easily. Most of these babies will eventually find their way to homes in other zoos. Once we get a little size on them and they can handle travel, they will go out and help create a healthy captive population, which will help take pressure off of wild populations. In the meantime, I’ll have my camera handy, and I do like to share. Celi has hatched some things, too. Go pay her a visit! 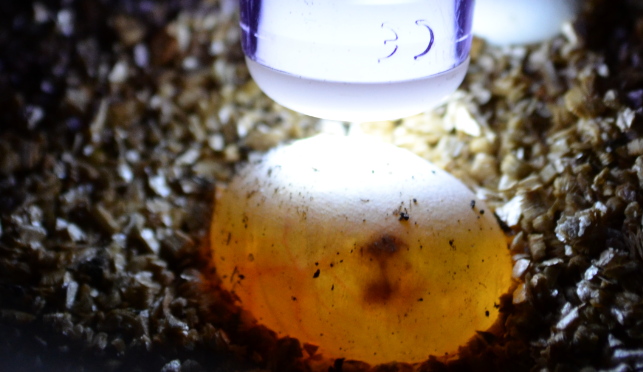 Way back when (it does seem like an age ago), I wrote about candling reptile eggs. Remember this picture? This is pretty cool. The dark dots are called blood spots. Note the veining to the left. Things are happening here! This egg is from an Oustalet’s Chameleon, the largest species of chameleon in the world. The egg is smaller than it looks. The light shining on it is 1/4in wide. These eggs are small, about the size of my pinkie fingernail. 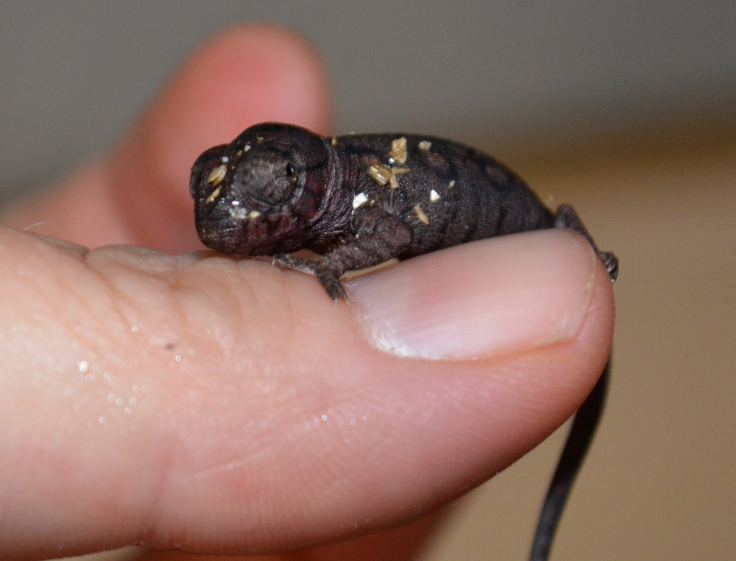 Many species of lizards hatch in about 60 days. These eggs were laid way back in July 2014, and the first signs of development weren’t seen until six months later. 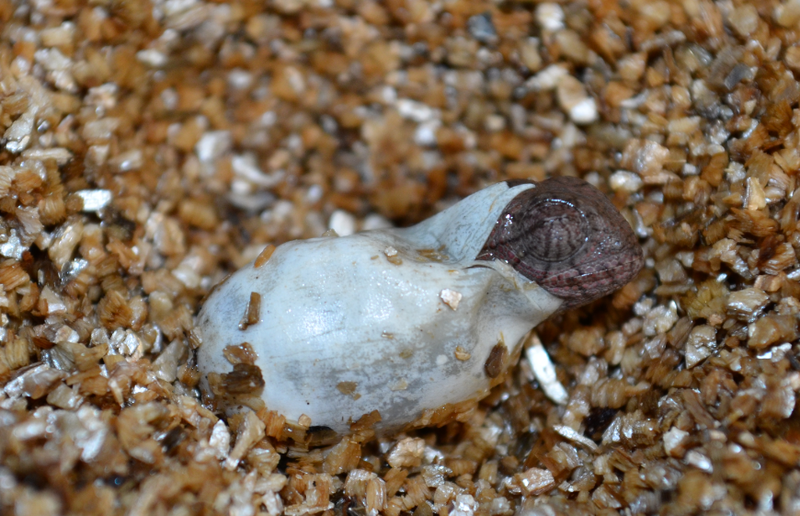 We knew this lengthy incubation was normal for Oustalet’s Chameleons, but we didn’t know much else. So often, species that are considered to have adequate numbers in the wild are overlooked for captive breeding programs, sometimes until their numbers drop and it’s too late to turn things around. Those who do breed them are often private keepers, and they don’t always think to take the best notes. 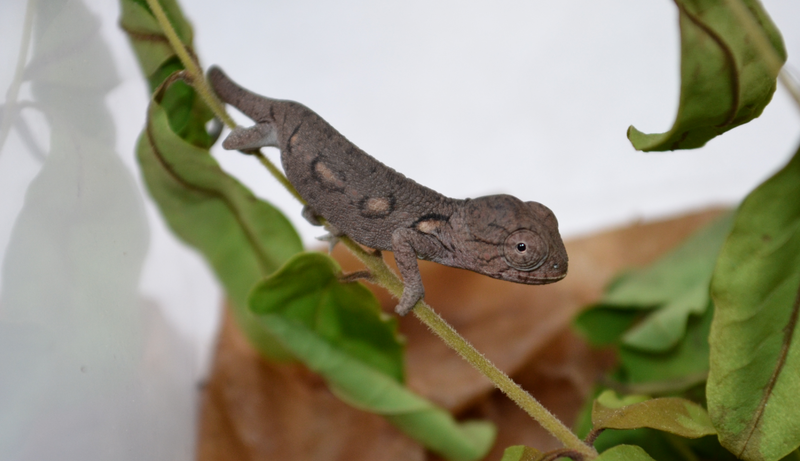 This is our zoo’s first clutch of Oustalet’s Chameleons, and I’d like to share what I have learned, the good, the bad, and the things that will give you grey hairs. There doesn’t seem to be much obvious courtship. The guy finds an agreeable lady and does his thing. A female who is not carrying eggs is bright green with white spots down her sides. Once breeding has completed and the female is gravid (carrying eggs), she turns greenish or tan with ribbons of red. This coloration is a visible cue to any passing males that she is officially off the market. Click photos to enlarge. Resolution and color is enhanced when the pics are larger. Weird. Not gravid. Note the faded white spots down her sides. She’s available, fellas! Gravid. Aren’t her colors lovely? She is carrying eggs. The female carries the eggs for a couple of months, and then she deposits the clutch, which my consist of as many as 60 eggs, in a hole she has dug with her hind feet. They dig deep, too. A foot of substrate is ideal for her to work with. Though the eggs show no signs of development for many months, it’s easy to pick out the healthy, fertile ones. After a few weeks, the infertile eggs collapse and turn rather yellow, while the good ones stay nice and plump and turn white (known as “chalking up” in the trade). The eggs may develop at different rates. We have no idea why. 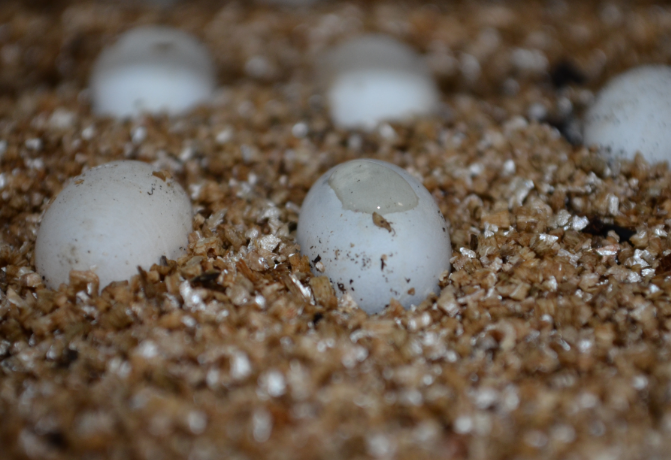 Our tray of eggs was incubated at room temperature (our Main Area ranges between 76-78 degrees), but some eggs began to show their first sign of development (see photo) well before others. Same temps, same box, same relative humidity, but a few eggs were quicker to begin developing. The first sign the egg is about to hatch is sweating. What is inside is about to come outside. A sweating egg means hatching is imminent. But even after ten months of incubation, nothing happens quickly. The egg with the goo on it did produce a live hatchling, but not for an entire week. After two days, the egg began to collapse. 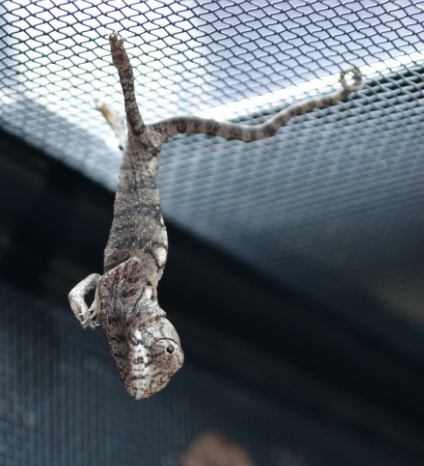 A day after that, slits appeared in one end where the baby chameleon used its egg tooth to shred it’s way out. And then we waited some more. The baby spent its remaining time within the egg resting and absorbing its yolk. Three days after the first slits appeared, we had our hatchling. Stay tuned for Part II on Monday. I have so many images to share, I couldn’t fit them all into one post. Trust me when I say it’s worth the wait.